Somerset County in New Jersey experiences an erratic weather all the time. With storms always around the corner, electric supply is always bound to be cut off which becomes the biggest obstacle overcome while going on with our day-to- day life. Generators, providing the necessary amount of supply anytime you need, are the best solution to this problem. 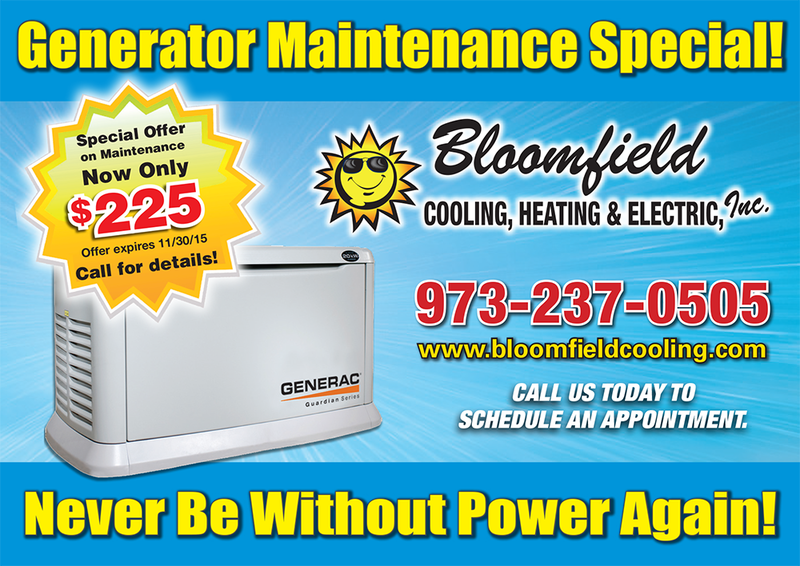 We at Bloomfield Cooling, Heating and Electric bring you the solution to the task of buying, installing and maintaining a generator. We offer you the opportunity to upgrade to a new stand-by generator, giving you electricity anytime you want. Bloomfield Cooling, Heating and Electric is a well-reputed family owned and operated business servicing people of Somerset County since 1988. We bring to you the best quality of generators from the leading brands like Generac Power Systems. Why struggle through the herculean task of installing a generator when you can lay back and hand it over to the professionals? There are many things that could go wrong with installation of a generator when carried out by a novice, causing significant problems later resulting in unnecessary expenses. Leave this to the expert team at Bloomfield. We have a customer-friendly, reliable and trust worthy crew. Our team is highly trained and has a great amount of experience in generator services. We are professionals you are looking for. Safety of our employees and the customers is our top priority. Our company and staff are fully insured. We use the best quality of equipment and material in terms with industry norms. We are stringent followers of rules and safety regulations. 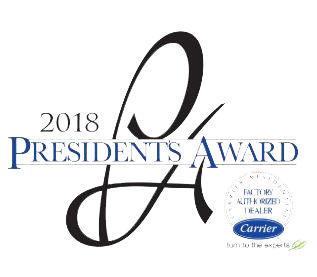 With awards like Super Service Award from Angie’s List and the Best of Essex Readers’ Choice Contest in the category of best HVAC and electrical company in our bag we consider ourselves a people’s choice. Customer satisfaction is of the utmost importance to us. We believe in honouring our customer’s trust and make sure that the customer always remains happy. We have expanded our client base through referrals from our happy and satisfied customers. There are various requirements that have to be taken in consideration while buying a generator. We choose it for you. Just a book an appointment and we will come down to your premises to conduct a survey. We will then suggest the apt generator suiting all your requirements. We not only look after the installation but also help you with maintenance of the generator. We have a 24 hours on-call facility ensuring assistance whenever you need.